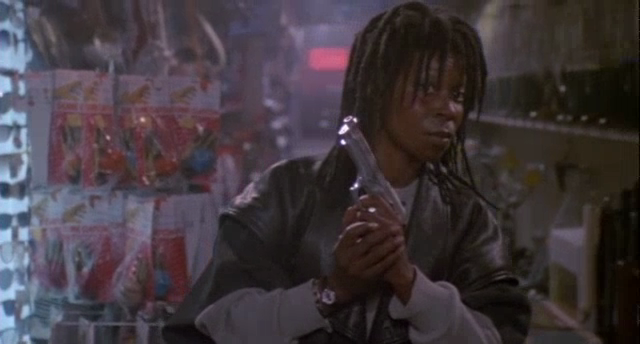 Rita Rizzoli (Whoopi) is an L.A. undercover cop with a sassy attitude. So far, so Whoopi. Things get very un-Whoopi-like when a shipment of a hot new drug called Fatal Beauty hits the streets. Its mixture of cocaine, PCP, and God-knows-what-else is so deadly and destructive, it’s turning obese men of color into unstoppable zombies. When the Whoopster traces the drug cartel back to criminal mastermind Conrad Kroll (Yulin) - and you know he’s evil because his name is Conrad Kroll - she wants answers and justice. Kroll’s head of security, Mike Marshak (Elliott) at first tries to keep Rita away from his employer, but soon is following her around town on her adventures like a puppy dog. Eventually, the two unlikely heroes team up to fight under-baddies such as Leo Nova (Dourif) and Earl (Jolly). What hijinks will Whoopi come up with next? Will it mix well with drug-fueled violence? Find out today! Much like how in the great Collision Course (1989), Jay Leno shot people and beat them up, here fellow comedian Whoopi Goldberg does more of the same. The 80’s were the golden time for the action comedy - Red Heat (1988) and Action Jackson (1988) come to mind as parallels here, but the obvious comparison is Beverly Hills Cop (1984). There are many comparisons to be made, right down to both having a Harold Faltermeyer score, and we won’t bore you by running down the list of similarities, but let’s just say this: Fatal Beauty is a surprisingly entertaining and fast-paced jaunt with a great cast, wonderful 80’s vibe, and a wisecracking Whoopi. That’s a pretty nice package if we do say so ourselves. 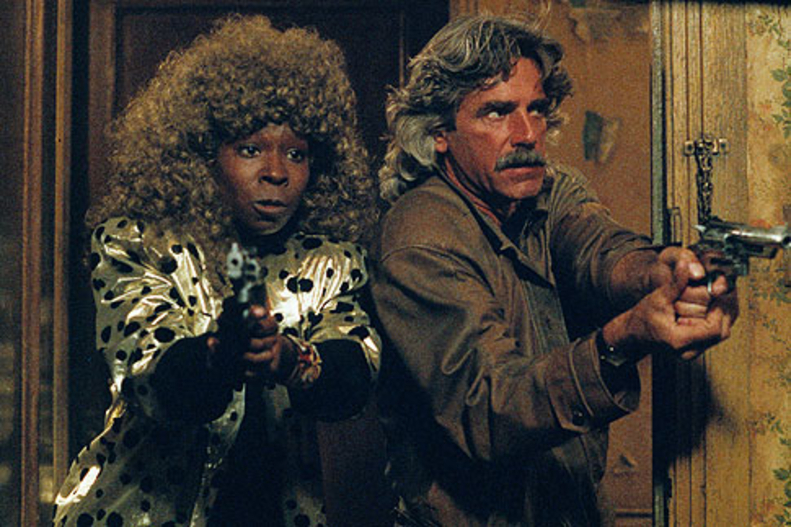 As regular readers know, we always enjoy when an unorthodox star tries their hand at action, and we applaud Whoopi for playing against type as an Italian-American (?) cop with her finger on the trigger. Speaking of unorthodox, the main baddie, played by Harris Yulin, is mainly known to us as co-star of Short Fuse (1986) - remember when Art Garfunkel had a Short Fuse? We certainly do, and if you think Whoopi was an unusual choice, that’s nothing compared to that inspired casting decision. John P. Ryan is a sort of under-the-radar fan favorite of ours, having appeared in Avenging Force (1986) and Delta Force 2 (1990) among many others, and here he plays the WYC (or White Yelling Chief) who is always riding Whoopi but knows she gets results. Sam Elliott’s mustache is comforting, Ruben Blades is wry, Brad Dourif is unhinged, James Le Gros and M.C. Gainey are in the mix as well, and Cheech Marin has a cameo as a bartender. We haven’t seen a cameo like that since Whoopi was in Beverly Hills Brats (1989). 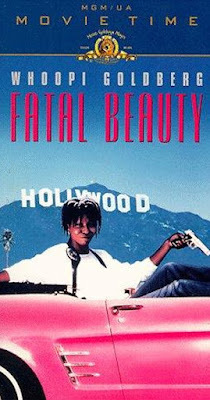 Maybe we should say Fatal Beauty is a cross between Beverly Hills Cop and Beverly Hills Brats. It all ends with a pretty cool mall shootout, and it should also be noted that there are plenty of racial slurs that most likely would not be in the script today. That’s just one extra element that preserves the 80’s vibe. Director Tom Holland does indeed keep things moving, and that may come from a background in horror movies - he’s probably best known for Fright Night (1985) and Child’s Play (1988). Interestingly, in further comparisons with Action Jackson, they both have an end-credits song by Madame X. Fatal Beauty, at this point in history, could fairly be called (what we have termed) a ‘Video-Store Classic’. 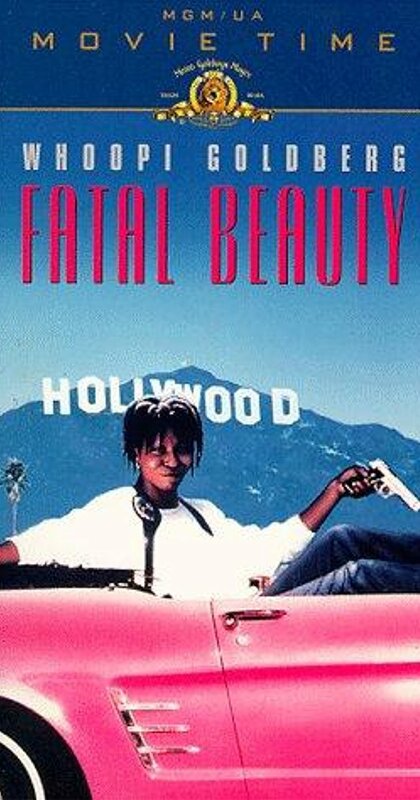 You know how we’re always asking about the more obscure titles, “who actually rented this?”, well, we know people actually rented Fatal Beauty. And they probably had a good time watching it, as we did, and you more than likely will too.